The current version of top level of football in Lithuania has been running since 1991, with Žalgiris Vilnius wining the first ever league title. FBK Kaunas are the most successful team, having won 8 league titles. No team from Lithuania have ever won the European Champions League. I noticed this shirt when I was doing my rounds of online club stores. I knew I needed a Lithuanian shirt so this one is as good as any. I received this shirt as a gift for my birthday after sending the link out to ensure I received the correct team. Another country I can tick off. My three most recent Lithuanian shirts that I have added to my collection. 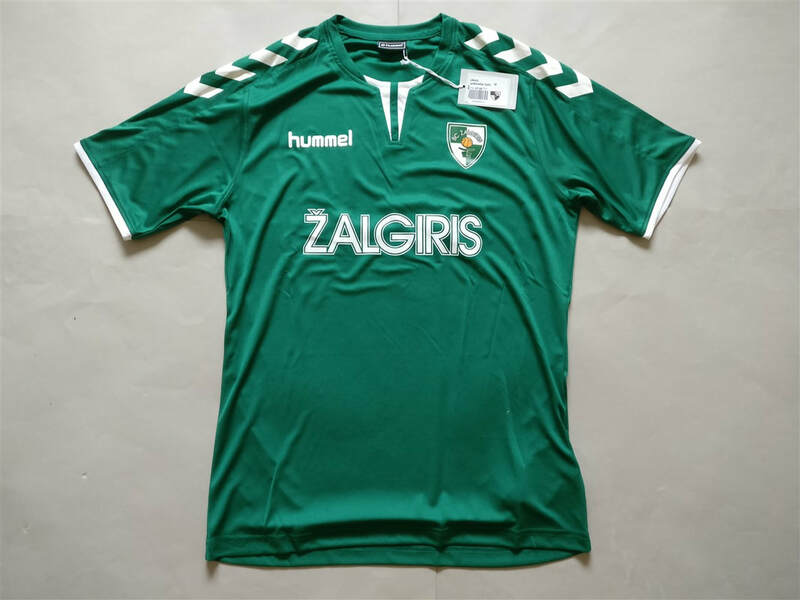 If you are looking to buy a Lithuanian club football shirt from an official club store then click the link below and it will take you to a list of clubs to choose from.